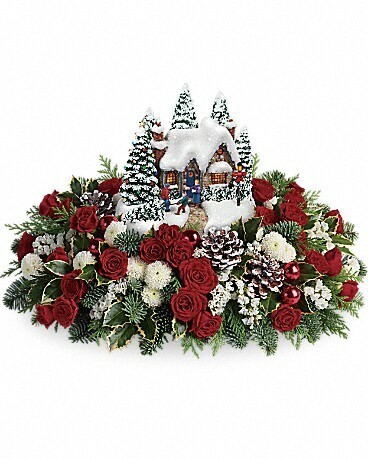 Make this Christmas one to remember with Thomas Kinkade! 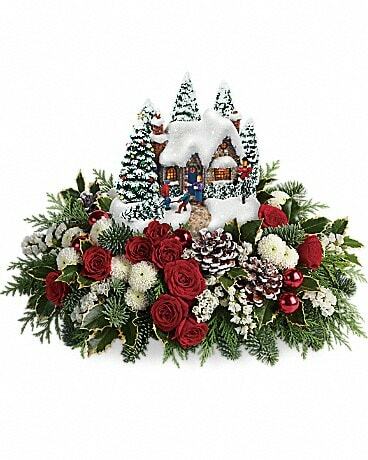 Inspired by his beloved artwork, this hand-sculpted, hand-painted keepsake cottage glows warmly above a wondrous winter bouquet of radiant red roses, snow white mums and fresh noble fir. 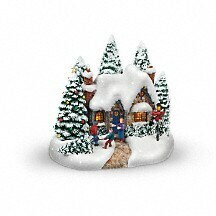 Its joyful Christmas scene makes everyone smile! 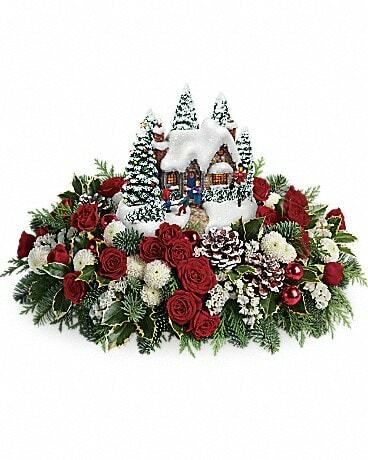 Continue the Thomas Kinkade-Teleflora tradition with the "Country Christmas Homecoming" keepsake, created exclusively for Teleflora's Flowers-in-a-Gift collection.